The missionary model of this last century has shifted. 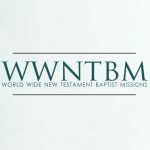 While I believe that global missions today is as strong as or stronger than it has ever been, I don’t believe that the idea of a missionary raising support from 40 churches before even reaching the mission field is necessarily the best model to follow any more.1 Global missions is primarily the responsibility of local churches, but that responsibility is not met solely in the form of a checks sent in the mail each month. I believe God is leading me towards a faith-based, but diverse approach to personal finances. The apostle Paul gratefully accepted financial support from fellow believers, but he also had a vocation he used to support himself. He was first a missionary, but also a tent-maker. I am trying to follow his example. In the first place, I am simply praying that God will move people as He wishes to consider supporting my ministry in Spain. I never believed God wanted me to go on deputation in the same sense as what a traditional missionary often does. It is not uncommon for new missionaries to spend years trying to raise support before even reaching the mission field, and I believe that in my case that would have meant too much time spent away from critically important work in Spain. Through the years, God has connected me with churches and individuals who want to have a part in the Lord’s work here in Spain, so right now the Lord provides about 25% of our minimum living expenses from a handful of ministry supporters. If you would like to contribute to my ministry, you can donate online here. There you can also find out more information about making a tax-deductible donation through my mission board. I have built and maintained websites for various ministries in Spain since I was very young. And throughout the years I have been able to serve as “the web guy” for quite a few different ministries. I hope to keep learning as much as I can, as I feel there is huge potential for internet expansion in the different ministries in Spain. In 2011, I began my own company to design websites for small businesses in America. God has allowed that business to grow to where it is a small source of income. It helped me to pay my way through graduate studies while living and serving in Spain. I now have several highly-satisfied customers, and the business is growing slowly. I would very much appreciate it if, as you pray for me, you could keep my business in mind. Every cent I make at Sierra Creation goes toward my ministry in Spain, so if you are able to provide any business referrals, you would be directly supporting the ministry in Spain. For more information, please contact me or visit my company website. Many missionaries in Europe have begun to rely on supplementary income from teaching or tutoring English. It is a way to make money, but also a way to make contact with people who need the Gospel. When Raquel and I were engaged in 2015, the Lord provided a great job at an English academy where I worked full-time for one semester to save up money for our wedding expenses. They have continued to provide work for me, and I am currently working part-time with them to help pay the bills. I’m praying that God will let me lessen my current work load, as it does take a lot of time away from potential ministry at church. However, I am very grateful God has provided this source of income, and as my primary responsibility is to provide for my family, I will continue to teach as long as is necessary. In sharing this, my goal is to be as transparent as I can about how the Lord provides for Raquel and me. He has always met our needs and more, and we am trusting that He will continue to do so. I simply ask for your prayer in the meantime. Pray that God would continue to direct even as He continues to provide. I thank the Lord for you, David.